A loyalty program can help you keep your customers coming in and building up a long term relationship. Our full color 3.5x2 loyalty cards printing will motivate your customers to keep coming by showing them that they are valued. We print our plastic business cards printing at low cost with high quality. The reason is to encourage repeat business along with keeping their satisfaction level high. 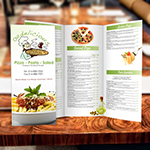 The 3.5x2 full color rewards cards for restaurant will turn your new customers to your loyal customers. When you value your customer, they are likely to value your services. There are tons of ways to gather your customers attention and keep them staying with you. As with being in the printing industry provide our clients with $5 reward points for the second order placed. This way our clients feel valued and love to order from us. 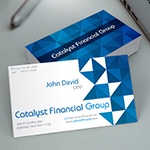 Build a loyal relationship with your clients and get the same in return with silk laminated business cards printing. We offer both matte and glossy thick stock for the rewards cards printing, however if you plan to write something on the reward card such as the person's name whom the card belongs to you can chose the option of matte as glossy test is not suitable for writing on it. Get your loyalty cards today and take your business to the next level. A heavy duty stock dull coated for an elegant and smooth matte finish. So if you are planning to wirte something on the loyalty cards, you can do so. 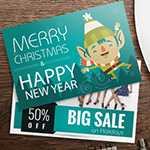 Along with loyalty cards printing, have your customers know what you have to offer. 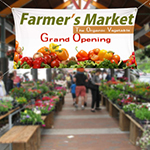 Provide necessary details that may be relevant and eye-catching. Presentation is a key to promote a business. 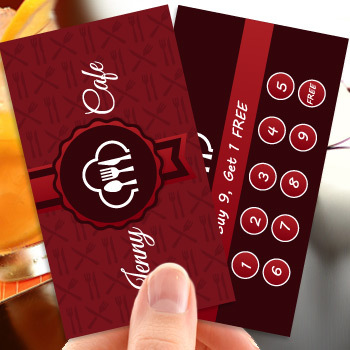 make sure to have your loyalty cards designed in a way that adds value to your business. When deciding to get loyalty cards printed, keep in mind the strategy you have as how efficiently to retain new customers and build new client relationships. While your customer's are given benefits of loyalty cards, don't forget to get their feedback. A positive feedback may be an essential tool to understand where you understand and how well you can do further. Try to build that trust relationship with your customers. Royalty Cards are definately great marketing tool to have. I got the loyalty cards for my cosmetic business and I got positive feedback. Great job. So I got my Royalty Cards printed from them. Couple of things to mention, I would say overall quality was excellent. I wish they could reduce the turnaround time. But their stuff arrives on time and thats a good thing about PX, and I can rely on it. Next thing, these rewards cards helped my business have more clients and I was quite happy with this idea. All my folks, have royalty cards printed and keep your customers!! 16pt. Coated Card Stock: 16 pt is an ultra heavy card stock that is coated on both sided with a special gloss layer. No coating or UV coating are separate options and are not affected by this. Such coating offers better ink absorption and hence artwork definition. We have an options of round corners to give a classy look to the card. We offer 2 ways to proof your job before it goes to printing process:- Hard Copy Proof Hard copy proof is recommended to confirm the color accuracy of your artwork whenever color accuracy is important. For a nominal charge we will ship you a hard-copy proof to examine for any necessary changes or color corrections prior to printing. The listed prices above for hard-copy proofs include shipping. IMPORTANT: Requesting a hard copy proof will delay your order until you agree upon a specific proof for production. Online Free PDF Proof You can view an online FREE PDF proof that will allow you to double-check the Artwork, Text, Image Resolution, Color, Spellings and Fonts. *Only first proof is free. After that it is $5 for each online proof Print As It The files you uploaded will be printed as the same way they are without any changes.